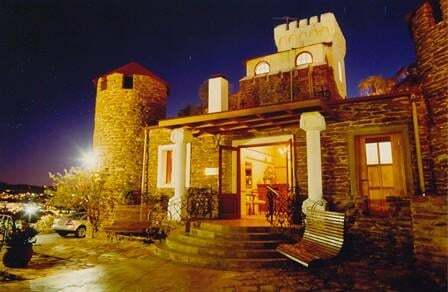 Leo’s At the Castle - This Gourmet Restaurant overlooks the skyline of the capital city Windhoek and varied cuisine is served ranging from international to french à la carte. Garden Terrace - along with a superb view over the city and the surrounding mountains, meals, coffee and cakes from our patisserie are served throughout the day. Snacks and sundowner cocktails are also served on this viewpoint with marvelous vistas of spectacular sunsets. Wine Cellar - This cellar of carefully selected South African vintage wines is built into the mountain rock and is the ideal meeting place for small groups with a taste for exquisite wines and luxury. Knight's Room - This exclusive venue is situated in the original castle and features authentic historical artwork. When Count von Schwerin commissioned castle Heinitzburg for his fiancé, Margarethe von Heinitz in 1914, love was his inspiration, elegance was his achievement. We have preserved and complimented his vision to combine comfort with luxurious charm. The Raith family name has long been associated with tradition of excellence in hospitality and exquisite cuisine. ​A visit to the Skeleton Coast will unravel the geological history of these stunning landscapes that garnered worldwide fame due to plenty a ship running aground here. The SeaSide Hotel and Spa invites you to experience personal service, superb cuisine and full beach front views. Breathtaking surroundings in a vibrant fishing town, with activities from camel rides to golf on desert courses, and flocks of flamingos at sunset.